One of the most sensitive topics in elder care can revolve around a seemingly simple object: keys. While the keys themselves aren’t particularly important, the discussion around no longer using those keys can be a major point of contention for seniors who feel those keys represent their independence and mobility outside of the home. Not only is the abstract idea of not being capable of driving a punch to the ego, but seniors being suddenly unable to go where they want, when they want can be downright frustrating. While home care providers aren’t typically involved with the discussion around giving up driving, they can often be caught in the middle of the anger and frustration that looms after a seniors keys have been taken away. However, with the proper tools and preparation, in-home caregivers can be a helpful resource in making the transition to not driving a more bearable experience. No longer driving can have a major impact on the mood of a senior, thus affecting their desire to interact with others, eat and partake in other normal activities. By letting caregivers know of a change in driving ability of a senior prior to their shift, caregivers can be mentally prepared to deal with complaints they may hear, as well as have a plan to take their mind off of the topic at hand. A note in your homecare software or homecare system, such as ClearCare, can alert caregivers after your administrators have received word from family caregivers. Often, the decision to stop driving happens between a senior and their adult children, or other family caregivers, leaving seniors feeling that those closest to them have stripped away some of their independence. As with any situation, it is often hard for those closest to it to see a different point of view. However, professional caregivers can offer a listening ear for a senior’s frustrations and perhaps even help them see the benefits. Many times, seniors will recognize in some fashion that because of their failing eyesight, poor physical health, or other reason that driving is not as safe as it used to be, but lack the willingness to admit this to family. Caregivers may be able to help validate these feelings while also offering a neutral point of view to help put things in perspective. However, not all seniors will want an opinion. In these cases, just a listening ear can be beneficial. 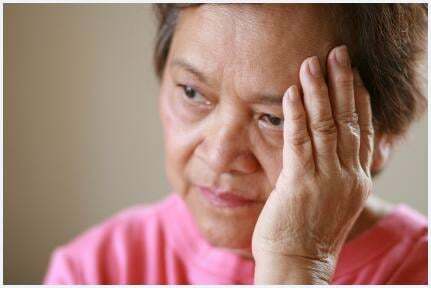 Caregivers can also note any severe agitation or depression, or even signs of acceptance, in their homecare software or homecare system for family caregivers to review. If your home care agency offers transportation with a caregiver, talk to families and seniors about the ability of caregivers to assist with transportation. Routines such as a grocery store trip during your caregiver’s normal weekly shifts can help seniors feel that they are not trapped at home by providing scheduled trips outside the home. A homecare system or homecare software can be used to schedule transportation tasks and notes within the homecare system can help family members and administrators keep tabs on outings to ensure they go smoothly. While the decision not to drive can be a tough pill to swallow, home care providers can utilize their skilled staff and tools such as ClearCare’s homecare software and homecare system to help seniors stay mobile; even without their own set of keys.